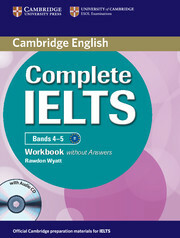 Complete IELTS Bands 4-5 prepares students for the IELTS test at B1 (foundation level). It is designed to introduce students to the critical thinking required for IELTS and provide strategies and skills to maximise their score. The information, practice and advice contained in the course ensure that they are fully prepared for all parts of the test. 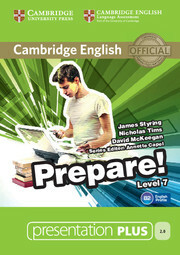 The Workbook without Answers with Audio CD features reading, writing and listening exercises for homework. It provides further practice in the Student's Book grammar and vocabulary and contains an Audio CD and recording scripts for the Workbook.